LEARN HOW YOU CAN BUILD YOUR EMAIL LIST FAST AND MAKE MONEY DURING THE PROCESS ... USING PAID TRAFFIC AND SELF-LIQUIDATING FUNNELS! Step 1. Login to your main Facebook account. Step 2. Click this button below to open Facebook Messanger. Step 2. Creating your Funnel! 1. Log in to your Clickfunnels Account. 2. Click this button below to import my funnel now. Click Here to Import My Funnel! Hi, I am invited to join NEXUS OFFERS by Louis Martel and Gena Babak. how you can chose HOT Offers!!! Step 10. NEED MORE HELP? most of them need help to understand how thing are working in this business. 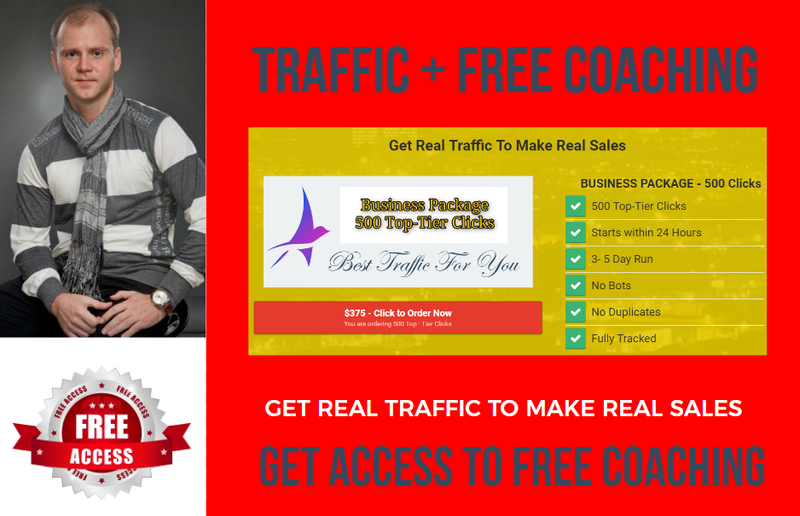 This is why I created this opportunity for each and everyone who buys traffic from my solo ads traffic agency. When you buy 500 clicks package you get access to my personal coaching program for next 30 days. I do this to help you start making money as fast as it is only possible and in a proper way.